It's a Mom Thing Reviews & More! 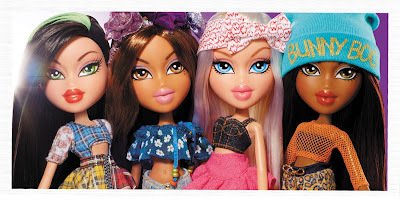 : BRATZ are back! Last month I was lucky enough to attend a brunch with a few other NJ and NYC bloggers to learn about a super secret relaunch of a fun product! We were among the first to see and learn about it and I am so excited to finally be able to share the news with you today! The iconic doll line with a passion for fashion, Bratz, re-launches today! Their new mantra is to empower girls to create their own world! They encourage self-expression, individuality, confidence, and creativity while embodying the interests, passions, and personalities of the modern day girl! Keep reading to learn about some of the new collections that are now available! The Hello My Name IsTM collection reintroduces Jade, Yasmin, Cloe, and Sasha with an iconic outfit that showcases their individual personalities! Each doll includes a perfectly paired piece count that reflects their interests and hobbies! 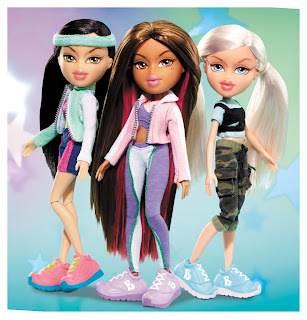 The Fierce FitnessTM collection showcases Bratz's healthy hobbies in a fun and fashionable way! Cloe is hitting the trails, Jade is revving for a race, and Yasmin is ready for yoga! My personal favorite is the Study AbroadTM collection! Each girl is ready to explore incredible countries all around the world! Each doll adopts the culture's traditions and styles and incorporates them into their wardrobe! 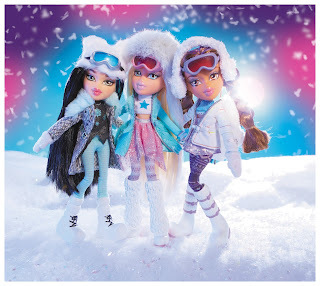 Bratz #SnowKissedTM celebrates Bratz love for fun winter activities! Each girl comes ready to his the slopes in stylish snow gear and accessories! #SelfieSnapsTM lets fans get to know Bratz through their selfie snap styles and fun emoji icons! Each doll comes with tech-inspires accessories, their own smartphone, and 2 phone cases! These are only a few of the awesome new collections available! I haven't told my daughter about this relaunch yet since it was such a surprise! I cannot wait to show her all of the new dolls! I know that they are going to be at the top of her holiday wish list this year! I am sure that these dolls are going to made a huge comeback! Watch the Bratz Brand Anthem below!